joannafarley-arm changed the visibility for TF-A General. joannafarley-arm renamed T291: Example task/Issue 3 from Example task 3 to Example task/Issue 3.
joannafarley-arm renamed T290: Example task/Issue 2 from Example task 2 to Example task/Issue 2.
joannafarley-arm renamed T267: Example task/Issue 1 for TF-A from Example task/Issue for TF-A to Example task/Issue 1 for TF-A. joannafarley-arm updated the task description for T267: Example task/Issue 1 for TF-A. joannafarley-arm updated the task description for T291: Example task/Issue 3.
joannafarley-arm moved T291: Example task/Issue 3 from Backlog to Closed on the Trusted Firmware A board. joannafarley-arm moved T290: Example task/Issue 2 from Closed to In Progress on the Trusted Firmware A board. joannafarley-arm moved T290: Example task/Issue 2 from In Progress to Closed on the Trusted Firmware A board. joannafarley-arm closed T291: Example task/Issue 3 as Resolved. 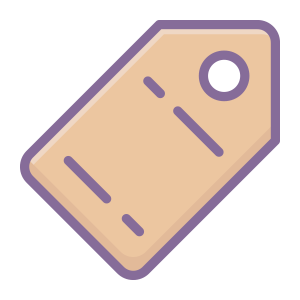 joannafarley-arm renamed T290: Example task/Issue 2 from Example tasks 2 to Example task 2.
joannafarley-arm renamed T290: Example task/Issue 2 from Test tasks 2 to Example tasks 2.
joannafarley-arm updated the task description for T290: Example task/Issue 2.
joannafarley-arm moved T290: Example task/Issue 2 from Backlog to In Progress on the Trusted Firmware A board. joannafarley-arm added a project to T290: Example task/Issue 2: TF-A General. joannafarley-arm renamed T267: Example task/Issue 1 for TF-A from Test task/Issue for TF-A to Example task/Issue for TF-A. joannafarley-arm renamed T267: Example task/Issue 1 for TF-A from Test task for TF-A to Test task/Issue for TF-A. joannafarley-arm set the color for TF-A General to Grey.